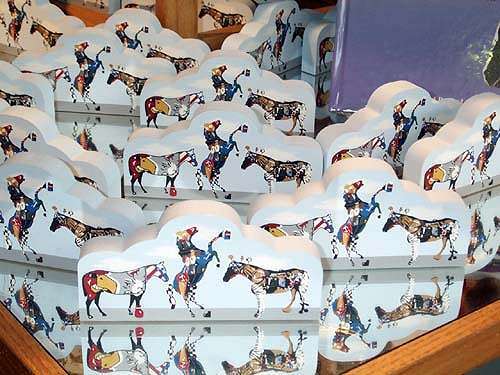 The Cat's Meow collectable village is designed and produced in Wooster, Ohio by F.J. Designs. Dealers throughout the United States sell the F.J. Designs line of buildings and accessories. Most of the same dealers commission work to F.J. Designs for local landmarks of their ciry or town to be sold exclusively in their dealer location. 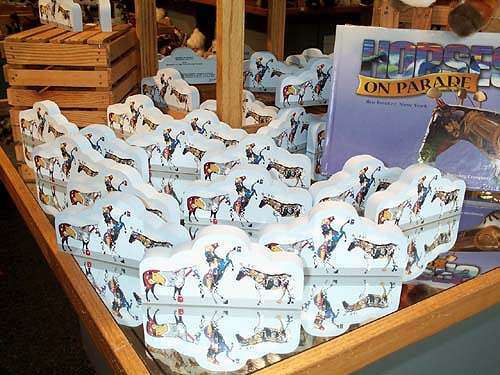 For the Horses On Parade a collectable was commissioned showing three High Falls Brewing horses. These horses are Genny (Anne Adermann), Rockin Horse (Jay Lincoln, et al) and Sporty (Chris Pallace and Kevin Serwacki). The pictures are from the first day of sale of this item. 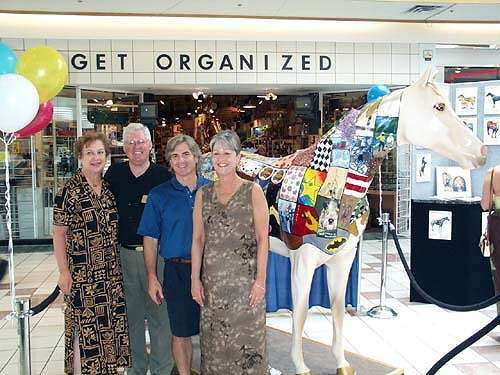 The artists were on hand to sign books and it was also the first public showing on the horse named Spectrum.This item is available at Lock, Stock and Barrel in Eastview Mall.